As the venue of SIHH 2019, the Palexpo exhibition centre wasn’t the only place buzzing with horological activity in Geneva recently. Watch brands such as Hublot, TAG Heuer and Maurice Lacroix also took the opportunity to showcase their new releases at other locations in the city. 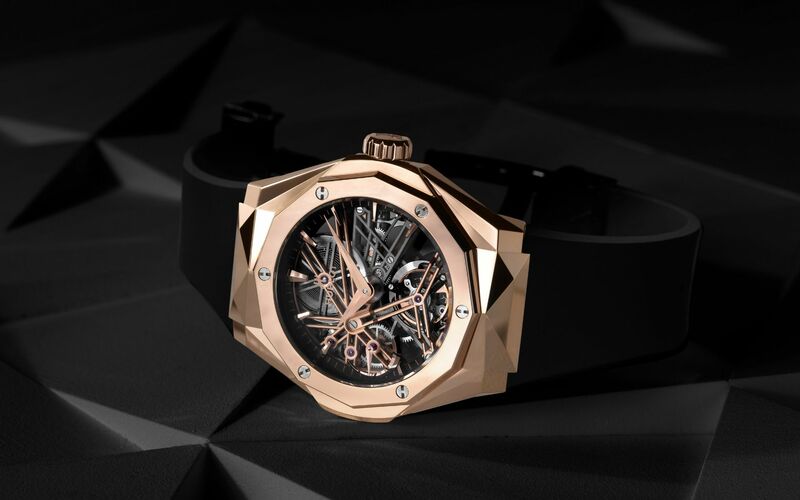 Continuing his collaboration with Hublot, French contemporary artist Richard Orlinski brings his signature sculpted geometry to a Classic Fusion fitted with a one-minute tourbillon with 5-day power reserve. The choice of case materials include sapphire, King Gold and ceramic, with facets cut out of them to present a stunning architectural look that matches beautifully with the stylised HUB6021 skeleton calibre. The integrity of the hairspring determines the overall precision of a watch. As such, it has to be able to withstand even the tiniest disturbances, be it a sudden knock or a change in temperature. In a world premiere, TAG Heuer presents a hairspring made from carbon composite, developed entirely at its laboratory in La Chaux-de-Fonds. Carbon composite features qualities - resistance against shock, gravity and magnetism as well as being lightweight and low density - that make it an ideal material for a hairspring. Apart from providing technical solutions, the hexagonal pattern on carbon composite also inspires the hexagonal aesthetics on the movement plates and the oscillating mass. The chronometer-certified chronograph watch with a tourbillon comes in a black PVD titanium case with carbon bezel and a combination of black calf skin and leather strap. The new Aikon Automatic looks incredibly chic in black. Featuring a black dial with Clous de Paris pattern, the Superluminova-coated hour markers and hands offer at least some form of illumination when the watch is viewed in the dark. Otherwise, it’s monochromatic all the way from the 42mm steel case treated with black PVD and the calfskin strap that has been manipulated to look like textile.